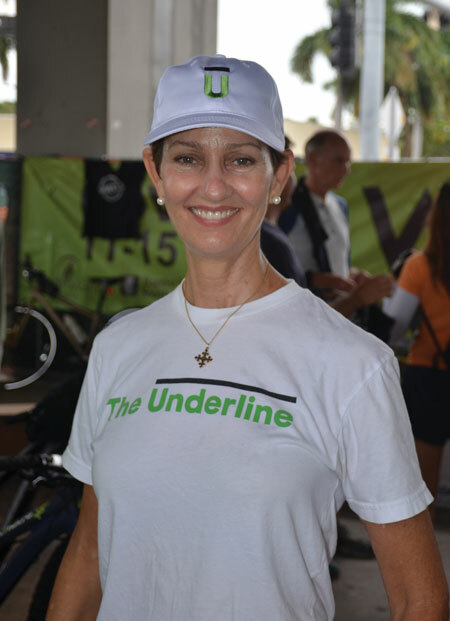 FRIENDS OF THE UNDERLINE is a 501(c)(3) non-profit organization advocating to transform the underutilized land below Miami’s Metrorail into a 10-mile linear park, urban trail and canvas for artistic expression. We’re gearing up for a busy year full of fun activities and events to keep the community excited about The Underline’s future development. In February, FRIENDS OF THE UNDERLINE and BAPTIST HEALTH SOUTH FLORIDA present an interactive exhibit and community activities from January 22nd to February 28th right here in our own backyard at SOUTH MIAMI HOSPITAL, 6200 SW 73 Street, South Miami. 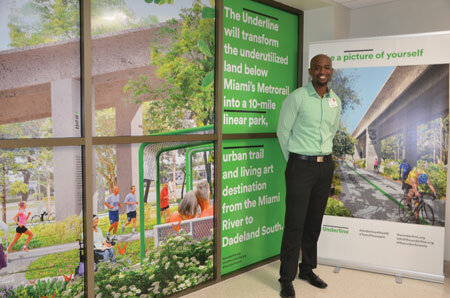 To illustrate the many things you can do along the future Underline, stop by the hospital lobby to see the hospital lobby transformed into the “South Miami Healing Garden,” and take a “selfie” in front of the image of the future trail and tweet about it to your friends. Ride The Underline energy bike to power an iPod and make some music. 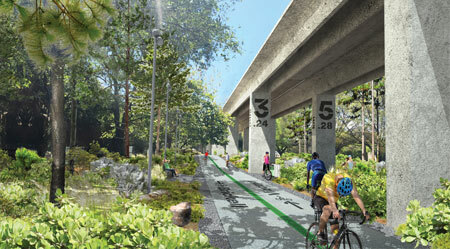 This will demonstrate the fun of bike riding and feature The Underline’s future urban trail. Lunch-Break Yoga by Richard Sherman The Underline will have programming along the 10-mile corridor including open air yoga and more. 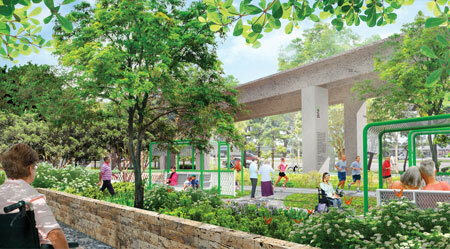 SOUTH MIAMI HOSPITAL’S EDUCATION CENTER featuring the topic Walk, Bike, Take Transit to Better Health. Panelists include Dr. Ted Feldman; Alice Bravo, Miami Dade County Transportation Director; Maria Nardi, Miami Dade County Parks, Recreation and Open Spaces Planning Chief; Meg Daly, CEO/President Friends of The Underline as they talk about recent research that shows walking, biking and taking public transportation helps fight obesity and other health risks. Sign up on Eventbrite here at this link http://bit.ly/1JN3RKJ. Stay tuned for BIKE 305 month in March! Meet at University of Miami Metrorail station at 8 AM as Miami-Dade County Mayor Gimenez leads a bike ride from UM station to downtown in Miami for Bike-to-Work day! And, look for more details of Friends of The Underline’s BIKE THE UNDERLINE committee’s first family-friendly bike ride at 10 AM on March 6th. To find out how you can help The Underline and for updates, sign up at www.theunderline.org. Like and Follow us on Facebook, Twitter and Instagram @theunderlinemia. Copyright Images used from Friends of The Underline.